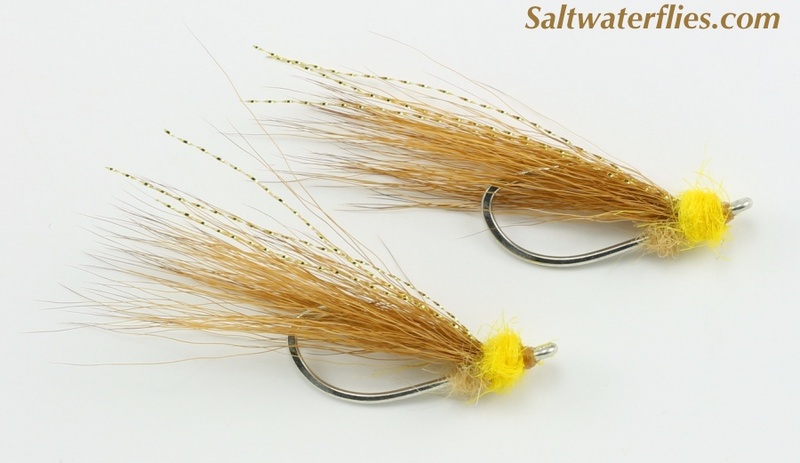 The "Horror" Bonefish Fly is an excellent shallow water fly that is just as productive today, as when it was developed in the 1950's. 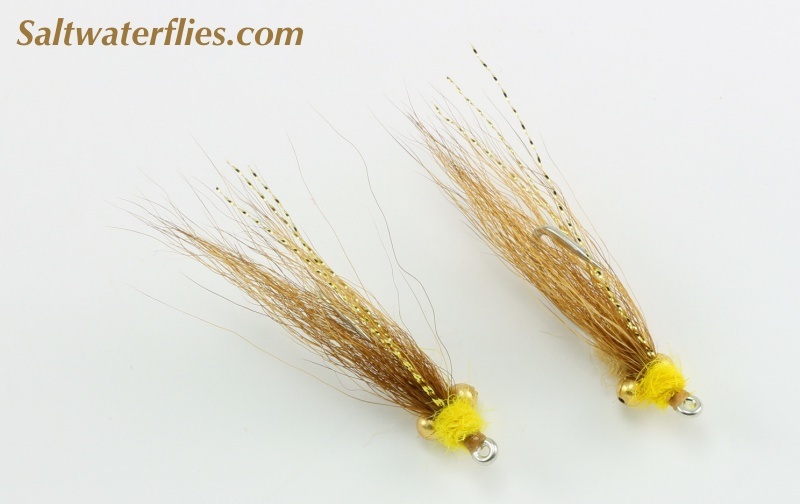 The design of this fly is credited to Pete Perinchief, and Chico Fernandez in his book on bonefishing says that it is "still one of the best patterns for extremely shallow water". This classic "stealth" pattern lands quietly to help make good presentations to shallow bonefish, and features nice natural color hair with just a touch of color up front to capture the attention of tailing bones. To expand the usefulness of this pattern, we have included a "bead chain eye" version for slightly deeper water conditions. Classic "Horror" shown above, Bead Chain Eye version shown below. 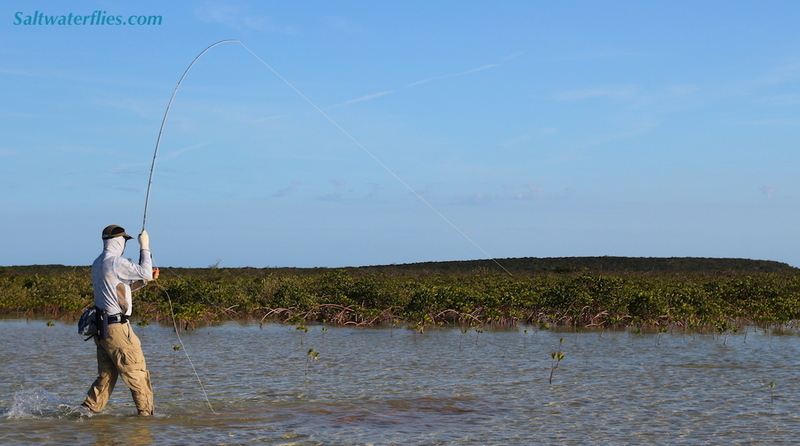 Bonefish - by Orlando "Orly"
The Horror is tied on the super-sharp Mustad S71 saltwater hook in size #6. This fly is approximately 2 inches long (5 cm).